All Basye homes currently listed for sale in Basye as of 04/25/2019 are shown below. You can change the search criteria at any time by pressing the 'Change Search' button below. If you have any questions or you would like more information about any Basye homes for sale or other Basye real estate, please contact us and one of our knowledgeable Basye REALTORS® would be pleased to assist you. "Much sought after Premiere Mountain Lodge Home located a short walk to main Bryce Resort Lodge offering snow skiing & tubing in winter and golf, tennis, mountain biking, zip line, swimming & fishing in the 46 acre lake in the summer months. Home features include great room. w/gas fire place, gourmet kitchen, dining area, large family rm, 5 bedrooms including master bed room, 4 full baths, 2 car garage. Solid Rental History." "This 3200 sq ft Hardiplank, 3BR/3&1/2BA magnificent home has it all! Light and Bright everywhere! 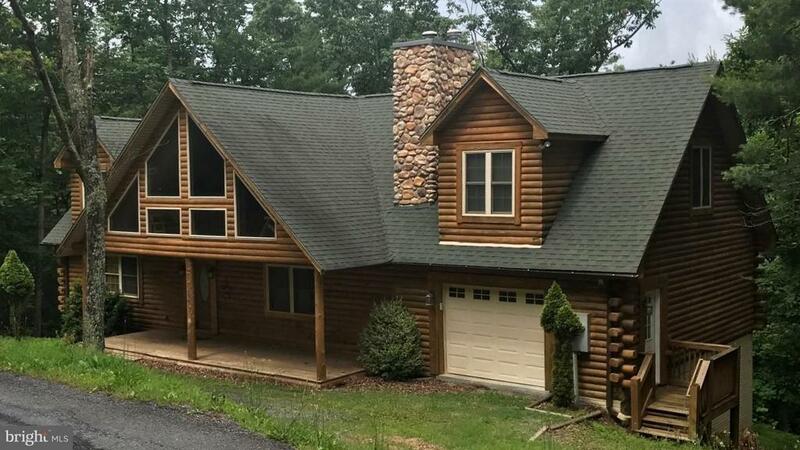 Main floor has hardwood floors; master with separate tub, shower, dual sink, double sided fireplace and walk in closet; washer/dryer; large kitchen with granite and good sized living/dining area opening to a very large deck with great mountain views." "BEST OF BOTH WORLDS! On the golf Course and 2 minutes walk to the ski slopes.This 4br/3&1/2ba, 3800 sq ft open floor plan home has abundant light and beautiful wood everywhere.The large decks provide fabulous golf course and mt views. Private upper loft master is large w/a lavish bath, walk in closet and its own deck with another golf course view." "Welcome to Log Heaven! 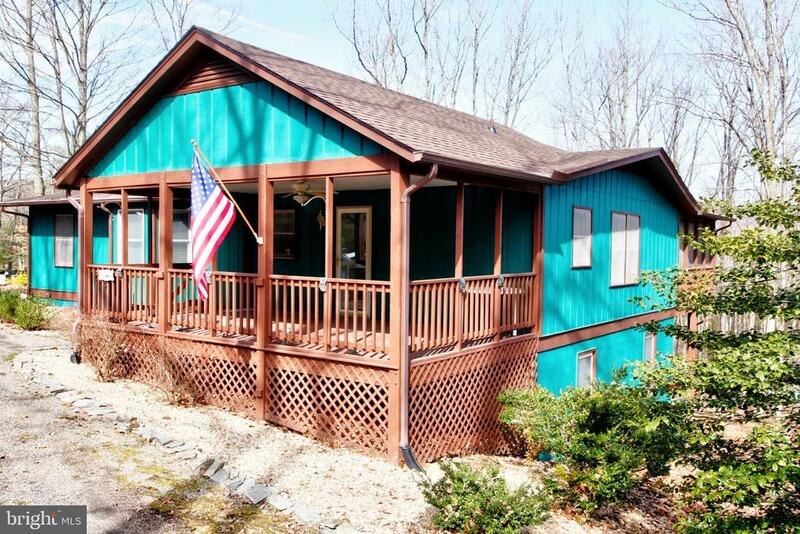 Stunning 3 Bedroom, 2.5 Bath CUSTOM BUILT Log Home close to amenities at Bryce Resort! The Master Suite is on the main level. Other features include: single car garage, HUGE deck, and a full unfinished basement ready for your finishing touches. Make this your Dream Home or perfect get-away from the everyday hustle and bustle of the work week!" "One-floor living with a full, unfinished basement with rough-in bath, wired and insulated. This magnificent home has wood flooring, Corian counter tops, upgraded SS appliances, two ceramic tile baths, lots of windows, a stone gas fireplace and a wood stove. The open floor plan includes a gourmet kitchen, sun room, gorgeous master bath, large 2 car garage, and engineered decking and gazebo! WOW!" 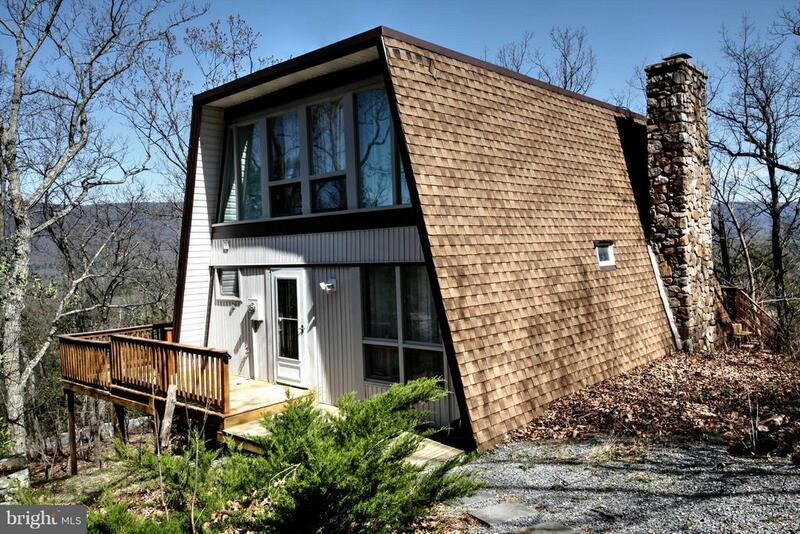 "Single level 5 bedroom/4 bath mountain getaway on a quiet cul-de-sac. Private hot tub room off one of 3 master suites. 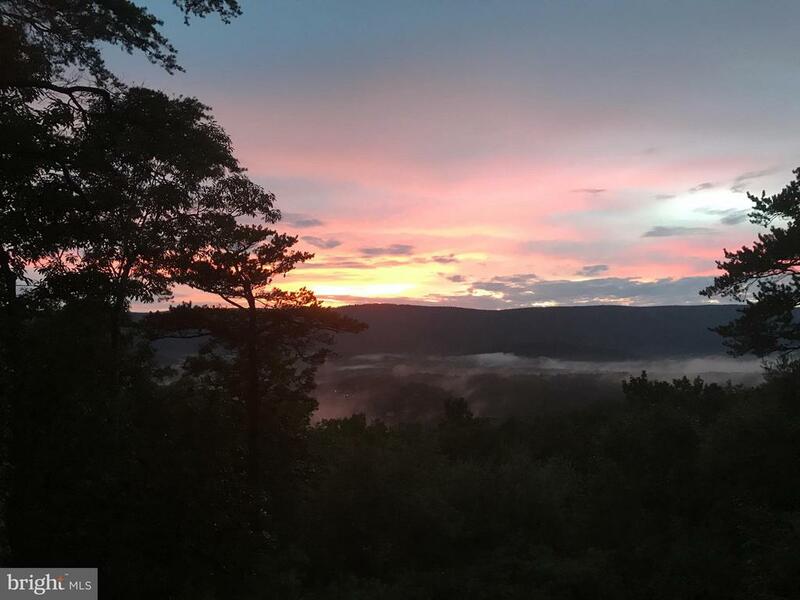 Located in the Bryce Resort area, this escape to tranquility offers mountain views. Come sit on the deck as you enjoy the mountain air. Make this your full-time home, a seasonal escape, or an investment rental. Much of the furnishings convey, so ask away!" "This Beautiful, move in ready, Home is ideally located near the center of all activities at Bryce Resort. Offers one level living. Oversized two car garage. Living Room with wood burning fireplace. Large Kitchen with all appliances, abundance of cabinets, counter space, and Breakfast/Dining Area. Private Master Bedroom & Upgraded Bath with walk-in closet. Washer & Dryer on main level.Two additional main level Bedrooms with access to Full Bath. Large Family Room with Gas fireplace. Sun Room/Den with abundance of windows providing natural light. 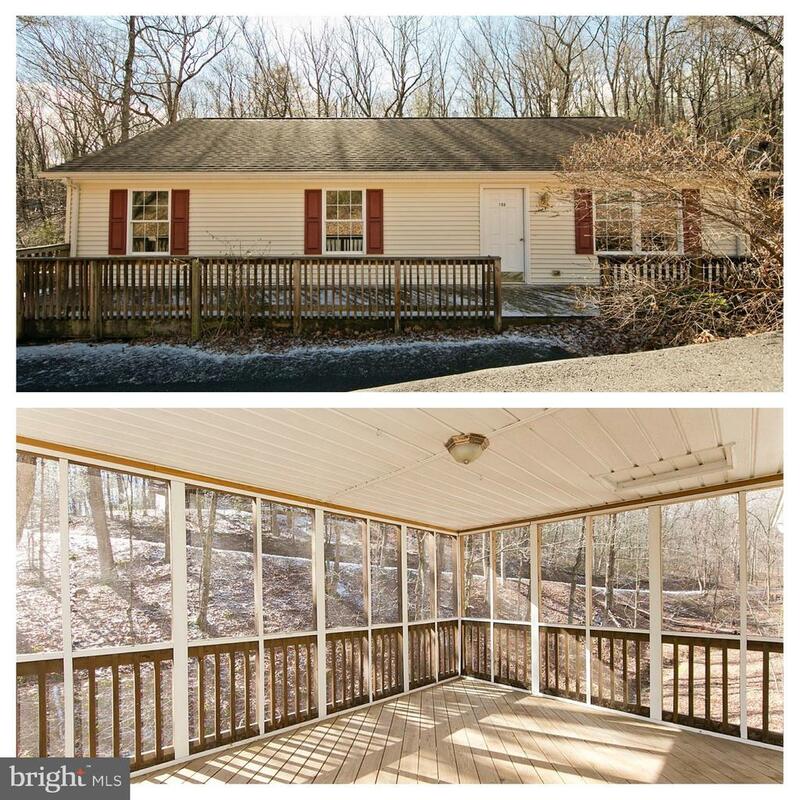 Enormous Rear Deck/Porch with Picturesque Views. Tankless Hot Water Heater. Gas Furnace & Central A/C. 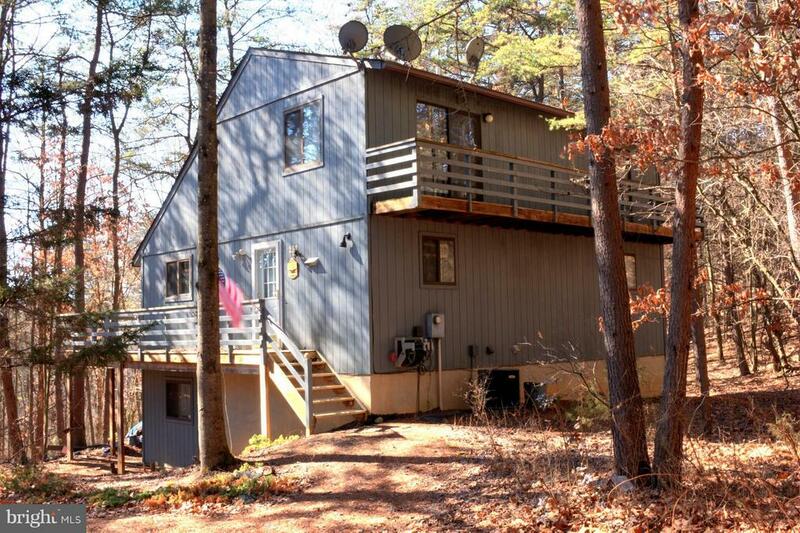 Wooded .62 Acre parcel." "Popular Salt Box style home with master suite in loft and a full, finished basement with bedroom and full bath! 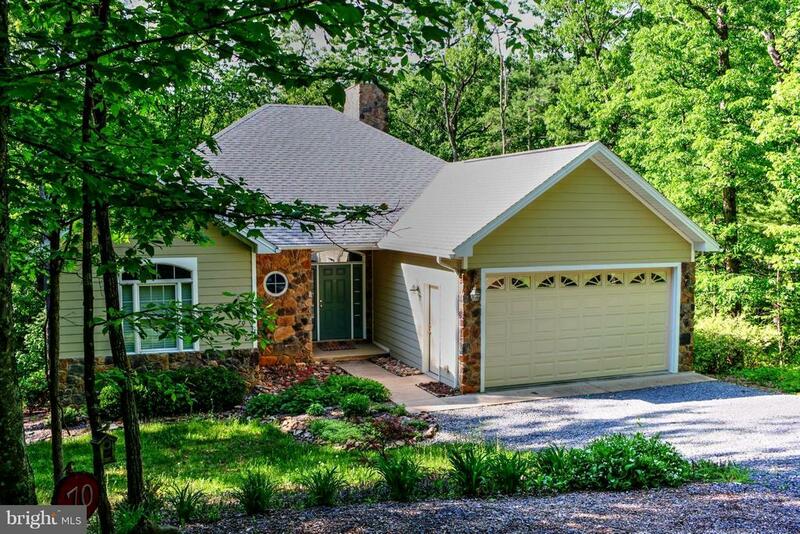 The large deck AND SCREENED PORCH give this home offers max privacy with the convenience of easy access to Bryce and Lake Laura. The open floor plan provides wonderful space for relaxing and entertaining and the finished basement has a unique wet bar and full bath. 4 BR, 3 BA and more! Lots of house for the money!" "PRICE REDUCED!!!! Chalet offers beautiful mountain views. Chalet was renovated in 2011. Offers 4 bedrooms 2 Baths with Family Room. Sleeping loft. Gas stove in the Family Room... Only minutes to the amenities of Bryce Resort. A true rustic ski chalet." "Spacious Contemporary Chalet-style home. Center fireplace situated between Dining & Living areas. There are 3 Bedrooms on the main level, as well as a sitting room that is connected to the Master Bedroom (could be a 4th bedroom). The basement has a Very Spacious Family Room (complete with Pool Table that conveys), a Half Bath and a Bonus Room that is being used as a bedroom. Most furnishings convey in this very comfortable home. The deck is spacious & views are beautiful. Enjoy the outdoor space and views all year. 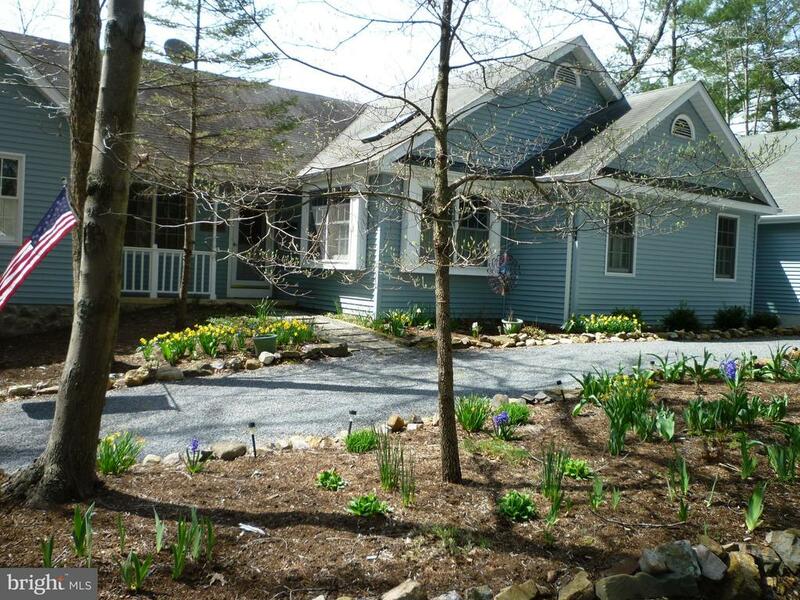 Nicely situated on a large lot in a private setting. This beauty is very well maintained!" 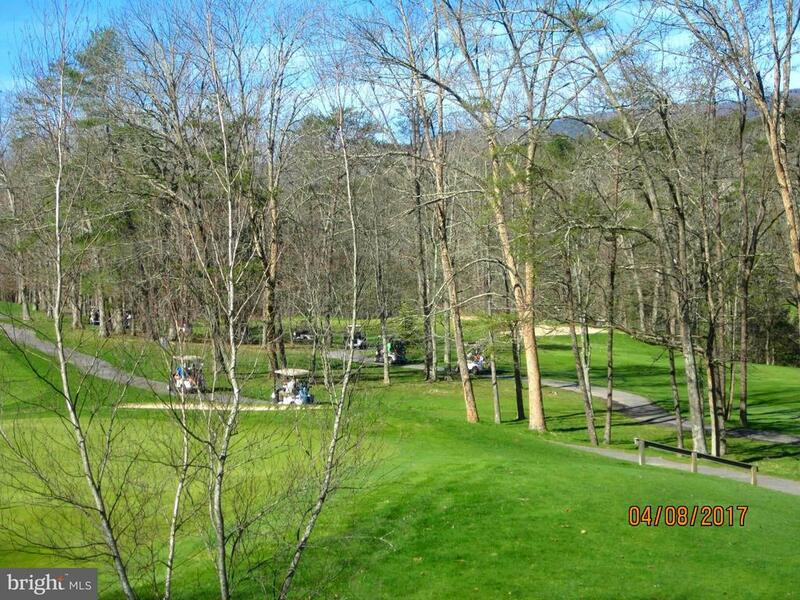 "Located with wonderful views of the golf course and the mountains. Within walking distance to the amenities of Bryce Resort.Home has had improvements of painting through out , all new stainless steel appliances. All bathrooms have been updated with new vanities 2 with step in showers.. Lots of windows for natural light. Den has Pool Table .Garage. Sit on the deck and watch the seasonal changes." "Follow your dreams to this easily accessible 3 BR, 3 BA Bryce home with new paint, new roof, newer HVAC and so much to love! 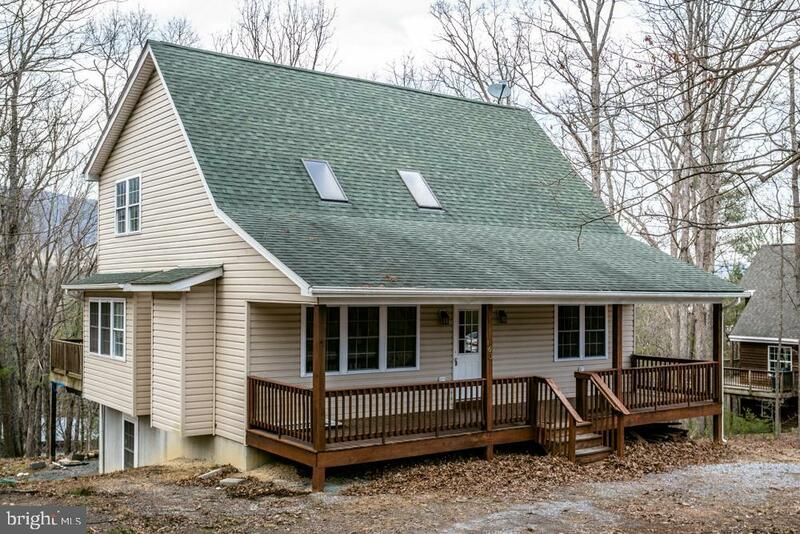 Perfect for full-time or weekend living, the home has a full basement with a large family room, a wet bar, additional sleeping area and a full bath. 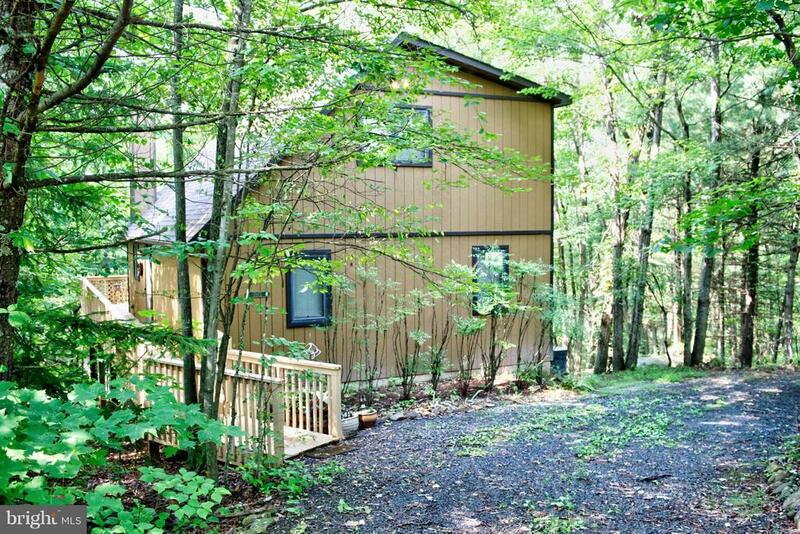 There are 3 main level bedrooms, 2 baths and delightful kitchen, a deck and large screened porch off the ensuite master. There is a new shed for additional storage, a large utility room with washer/dryer and so much more! The circular driveway and landscaped entrance, tell you that you have arrived at your special place in the mountains! Make an appointment to see this one today!" "Beautiful Log Home on Large Lot at Bryce Resort. Home is currently undergoing renovations to bathrooms, kitchen, and more. Updates include: New appliances, vanities, toilets, flooring, and paint. The spacious Great Room has a stone fireplace, vaulted ceilings and lots of windows looking out over the trees. The lower level has a HUGE family room great for games and more! Enter into the lower level mudroom to drop your skis, clubs and other toys. Owner is willing to make further upgrades for a higher sales price." "Awesome contemporary features an open living area with vaulted ceilings, wood floors and skylights! 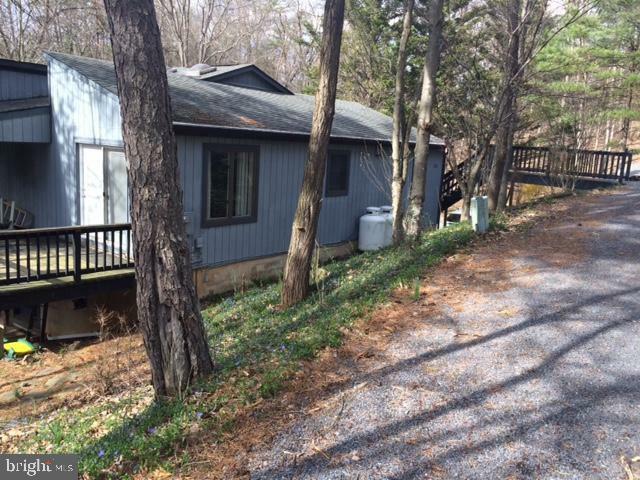 Main level offers an eat-in kitchen with island, granite counters, and rear deck access! Upper loft family room/den overlooks the beautiful open living room area! Main level also features 2 bedrooms; one with a walk-in closet, and one with rear deck access! Upper level master suite with jet tub, separate shower, tile work and plenty of closet space! Finished walkout basement offers a large game room, full bath and laundry room! 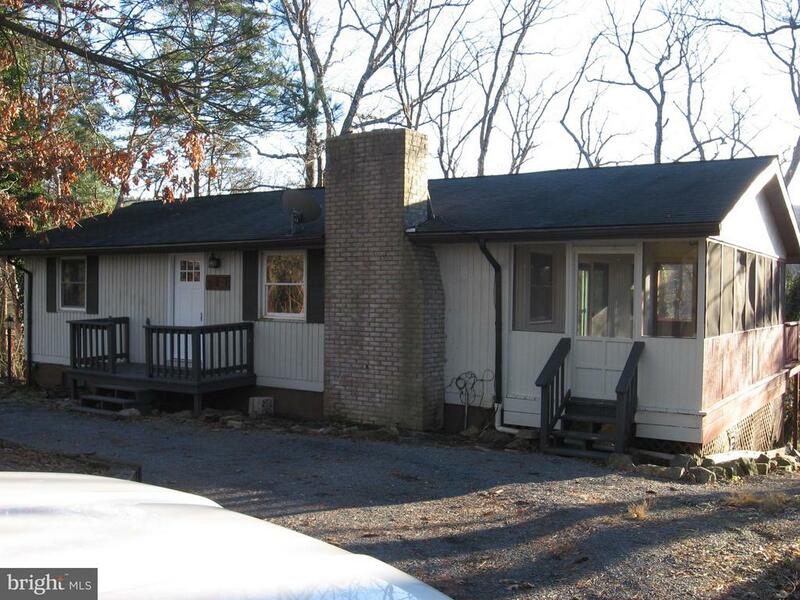 Exterior also includes an awesome covered porch and a rear screened porch! Nestled in Bryce, this beauty offers easy access to year-round activities, including skiing, swimming, golf, hiking, tennis, fishing & more!" "Wintergreen at Bryce Resort is a Quintessential Chalet with 4BR/3BA, Winter Mountain Views, Cathedral Beamed Ceilings, A Wall of Windows (some having been replaced) in the Great Room, Beautiful Pine Floors on the main and loft levels and a Spacious Basement that includes Family Room, Walk-out deck w/ storage, Wet Bar and Storage Room. Owner has added Central Heat/Air, Granite counters and Stainless Steel Appliances. All baths have new toilets and flooring. The fresh paint on the upper levels adds to the Bright and Airy feel. Most of the furniture conveys making this truly, a turn-key home!" "Everything you want at Bryce! 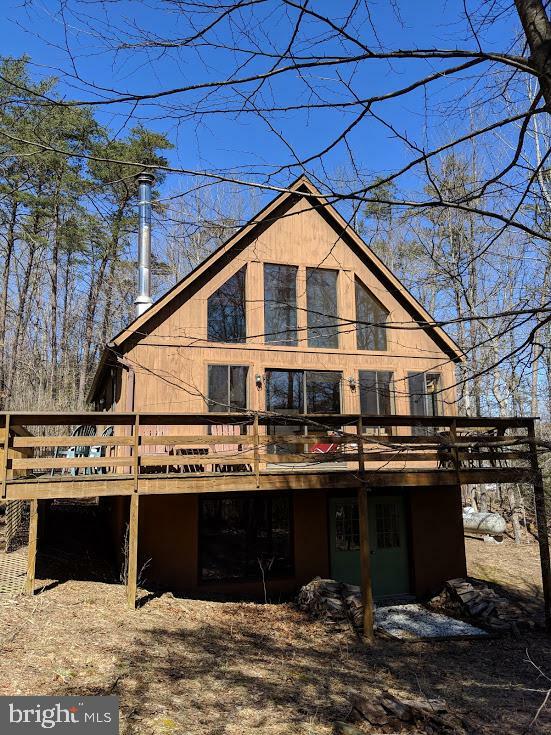 Great ski slope views, extensive decking, a hot tub gazebo, a screened porch, wood stove and a 3 BR, 2 BA home with granite and SS in the kitchen, tile in the bathrooms, wood and carpet flooring and a cozy loft master suite! The first floor bath has a tub and separate shower and it's all situated on 3 lots for added privacy. Priced to sell, furnished and ready to go!" "Extremely Motivated Seller! 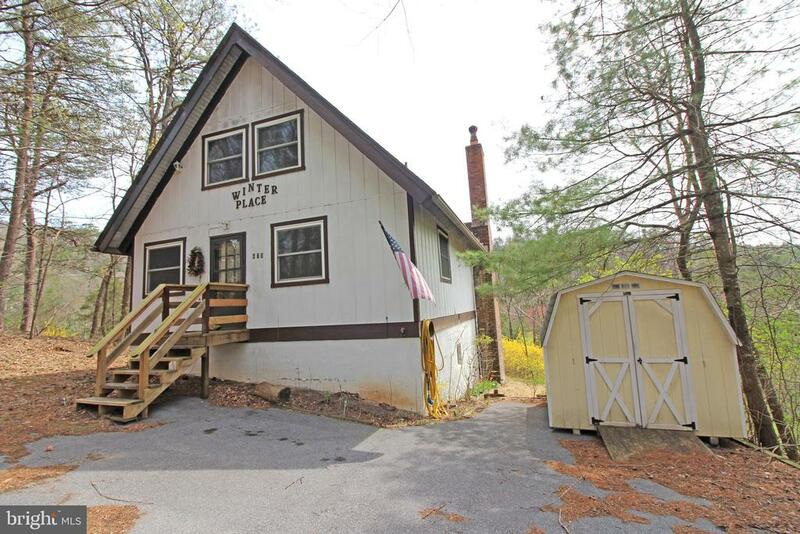 Nicely updated Chalet on more than an acre! Gorgeous Views, warm & cozy inside. 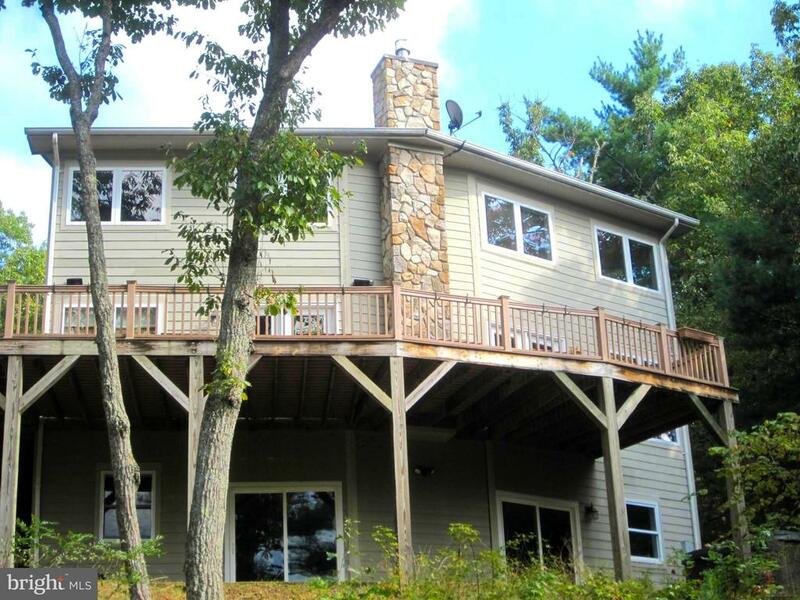 Main level has Greatroom with woodburning fireplace & deck access, Kitchen & Master Suite. 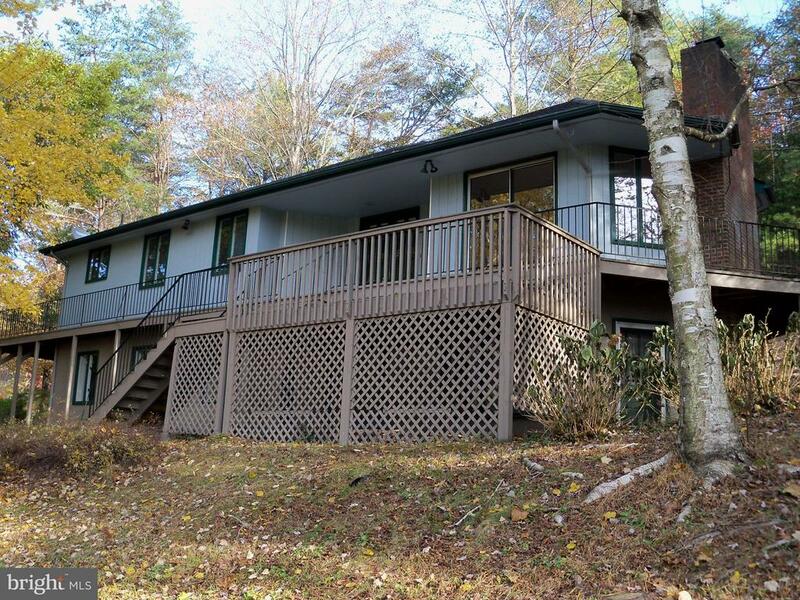 Lower level has family room, kitchenette, gas fireplace, 2 bedrooms, laundry and access to deck. Enjoy the view from both decks, the upper even has an electronic awning. 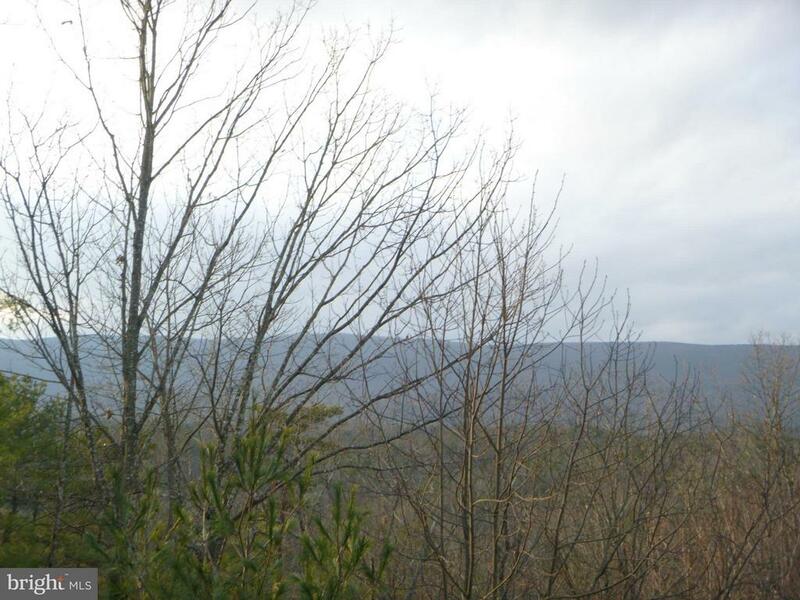 Privately situated with 3 lots." "This light and bright chalet is located in a quiet park-like setting but close to golf, skiing and lake. It~s clean with new carpet and ready for you to enjoy. You~ll find three levels with a great floor plan for family & entertaining, inside or out. In addition to the 3 bedrooms and 2 full baths you will have the convenience of a full basement that has ample storage and a laundry area. 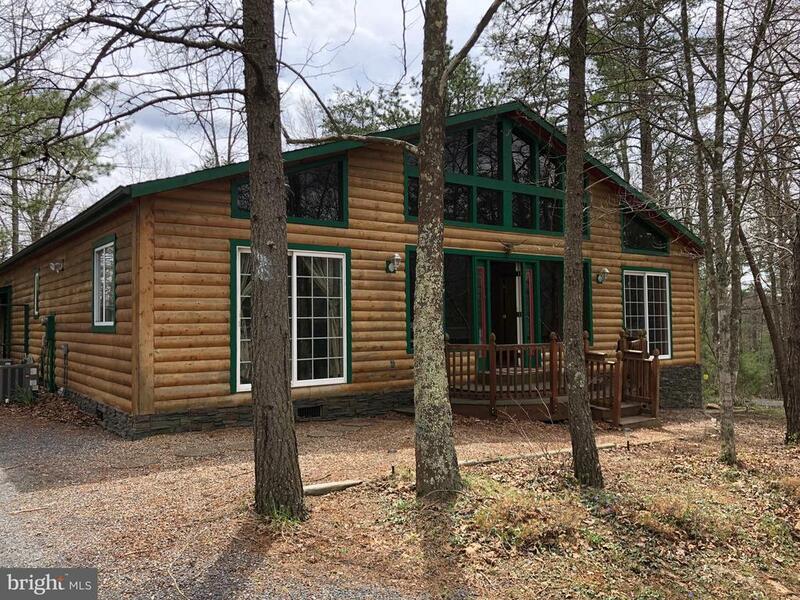 Situated on 3.7 Acres just outside Bryce Resort"
"Situated on a large double lot with lots of privacy, yet close to all Bryce amenities, this core area home offers an open floor plan, 4 BR and 3 full BA's with a large deck and private, outdoor hot tub. With over 2500 sf of living space, this home offers 3 levels for everyone's enjoyment including a basement family room, loft bedroom/bath and 2 main level bedrooms. Your family will love it!" "Country Squier offers a one-of-a-kind getaway experience at Bryce Resort. Just a half mile from the main lodge and situated on a ridge with panoramic views of Great North Mountain, this 3 BR, 2 BA chalet offers additional sleeping or relaxing space, a large deck, wood burning fireplace, granite and mostly new kitchen appliances and a mountain ambiance that is hard to find elsewhere. Sleeps 10!" "Looking for a chalet with deck overlooking the golf course! Enjoy 4+ bedrooms over 3 levels to spread out. Lots of natural sunlight. Enjoy all that Bryce Resort has to offer. 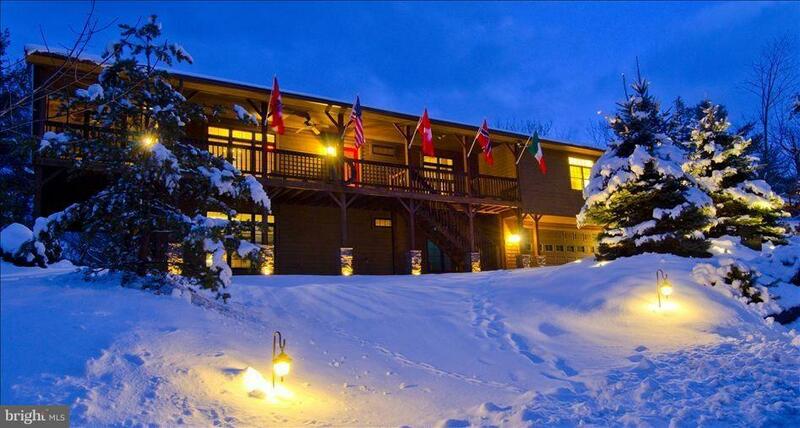 Golf, Fish, Ski A Four Season Resort"
"Large 6 bedroom, 3 Bathroom Contemporary home. 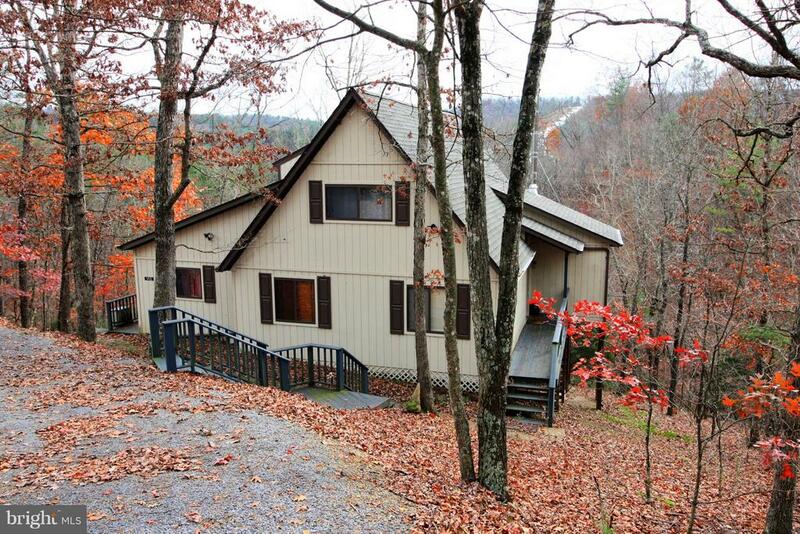 Located in a quiet section of Bryce Resort and just a short walk to Lake Laura. Large eat in kitchen with access to deck. Master suite on mail level. Vaulted ceilings and skylights in living room. Large family room in basement. This home has plenty of room for guests or a large family! Priced to Sell!!" "Live it up in Bryce Mountain Resort where you can play year round. 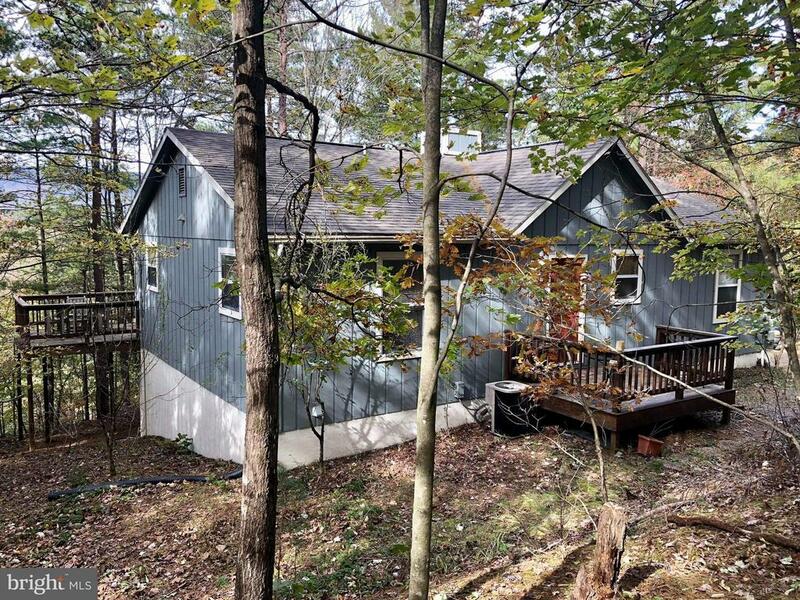 This home is just minutes away from the ski slopes and everything fun, including an airport.Large deck that spans the length of the front of the house and wraps around the side. Three bedrooms and 2 baths, kitchen is also open concept and has room for the dining area. A screened in porch is just off the kitchen giving you an opportunity to have meals inside or out. In the walkout basement there are many possibilities. You can either finish it the basement which includes a rough in for a bathroom or just keep it as it is and use for storage. The driveway is also paved."